I watched a short film many moons ago and it got me thinking. Now when I say short, I mean very short. I think it was attached to the popular movie, Love Actually and rolled after the final credits. Picture this. Two African women sauntering across a dry, cracked earth, each carrying a stack of sticks strapped securely to their backs. You get the idea that this isn’t the first or last time they’ll be taking this journey. In fact it’s a daily routine for them. They’re chatting in their own language and it’s subtitled. Reading their banter I was a little stunned, I’m embarrassed to say, because their discussion surprised me, and at the same time immediately connected me to them. Why? 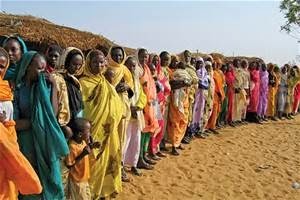 Because they were commenting on their life, dreams, husbands, children, neighbours, community. Not that different to when I enjoy a coffee or meal with friends. Sometimes we forget the common humanity we all share, whether you live in a war torn, famine ravaged country or safely nestled away in a suburb of Sydney. It was one of the many factors that led me to write my debut romance Doctors Beyond Borders which is available on the e book shelves of all the major etailers. 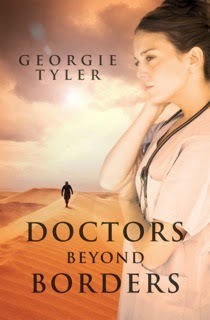 Ariadne Tate, a doctor with Medecins Sans Frontieres is eager to escape the world of work based gossip having been a prime target in Sydney and discovers that the same observations, elucidations and interpretations are made amongst the Sudanese medical staff as they are in laid back, first world Sydney. Ariadne and Ford, the heroine and hero of my story and both doctors represent the many people in the world that dedicate months or years of their lives using their skills to help the afflicted and less fortunate. My ex pat characters chose this path for many different reasons but the common thread is the desire to offer up their skills in active charity. I admire them. I applaud them. I wish in my younger years I had been more proactive like them. I’m so glad I penned a story around them that’s now available for others to read. Kids and family are my priority at the moment, but maybe in my twilight years when my brood have flown the coup, my passive assistance may transform into something more active. I’d like to think so as these people have the same hopes and dreams as the rest of us; the eradication of poverty, improvement in health and a better world for themselves and their children.